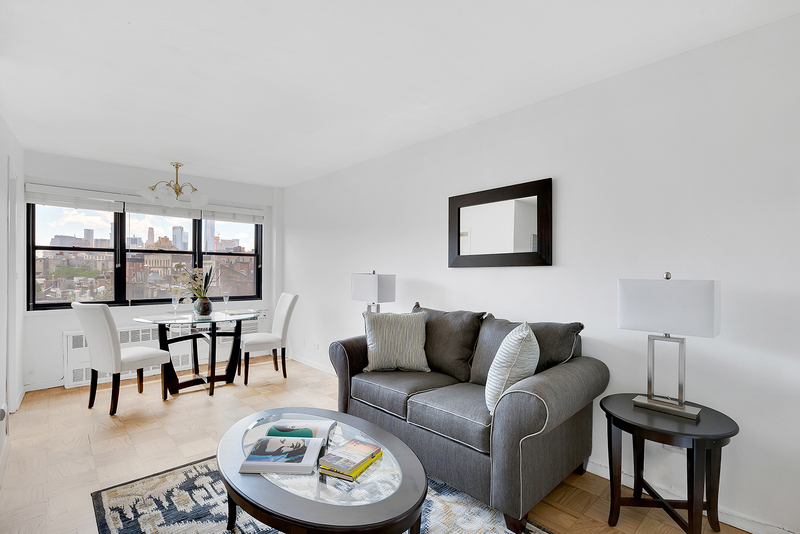 Live in the heart of the West Village on quiet tree-lined Jane Street. This bright alcove studio apartment offers a flexible layout, a wall of southern windows filling the space with sunshine and views of the city; Freedom Tower and the downtown skyline. 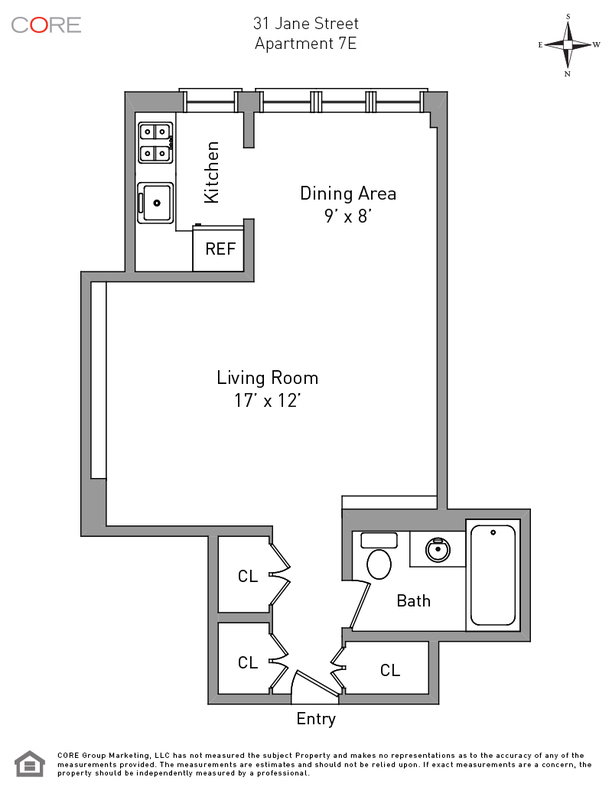 There is also a windowed kitchen and ample closet space (3 in total).